exploration, of women entering the workforce. But although it’s an era of great social change, it’s also one of great intolerance, and nowhere is this contrast more evident than in New Zealand’s largest city, Auckland. Allie Manaia works on the cosmetics counter at Smith and Caugheys, a high-end department store in downtown Auckland. Although she enjoys her job and is happily married, Allie has experienced devastating loss over the past two years. Many of her friends perished in a fire at the department store where Allie used to work, and not a year later, her baby daughter died unexpectedly in the night. It doesn’t help that Allie and her Maori husband, Sonny, are regularly glared at in the street. Then there’s Kathleen Lawson, one of Allie’s new customers at the cosmetics counter. Beautifully coiffed and clothed, Kathleen is ridiculously wealthy, but also desperately lonely and bored. Trapped in an unhappy marriage to an oft-absent pilot and with very few real friends to speak of, Kathleen takes a shine to Allie and vice versa, but when Kathleen finds out that Allie is married to a Maori, her friendliness begins to evaporate. Is Kathleen trying to drive a wedge between Allie and Sonny? Allie’s sister-in-law, Polly, is a bit of a wildcard. Although she tells her mother she’s earning all her cash through waitressing, Polly is actually living a lucrative second life as a good-time girl in Auckland’s seedy underbelly, using the money she earns from working at the brothel to support herself and her daughter, Gina. It’s not the life Polly had dreamed of when she was young, but she’ll do anything to make sure Gina is well cared for. Still waking almost daily from nightmares about the death of her daughter and the tragic fire, Allie jumps at the chance when she’s offered a new job marketing knitwear made by a Maori women’s cooperative. It’ll be a good change, a welcome distraction, she thinks. But with racism still rife in Auckland, will anyone buy the cooperative’s wares? And can Allie find a way to work through her trauma and pain when she’s worrying about her sister-in-law Polly, and when Kathleen seems determined to destroy Allie’s happy marriage? 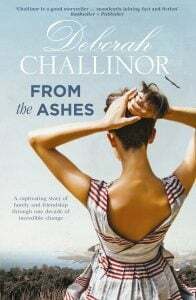 The latest novel from master storyteller Deborah Challinor, From the Ashes is a moving, exhilarating journey through the rapidly changing social and cultural tides of the 1950s. The book’s Auckland setting gives this story a unique and refreshingly different feel, and it’s fascinating to learn about life in mid-20th Century New Zealand – there was progression in spades, but was also great resistance, with many clinging to increasingly outdated ideas about race, gender and class. Challinor expertly illustrates this tug-of-war between change and tradition, painting a portrait of a time when women could enter the workforce, but were forced to leave if they fell pregnant; a time when interracial marriages were becoming more common, but many shops still hung signs in their windows reading, ‘No dogs, no Maoris’. It’s also a delight to read a novel populated by so many multi-faceted and vastly different women. Beyond the three main characters, we also meet Allie’s two younger sisters, her hardworking mother, and her new friend Ana Leonard, who’s struggling to adjust to life in suburban Auckland after moving with her family from the country. The story is narrated solely through their eyes, giving a voice to the countless women whose thoughts and opinions went largely unheard in the 1950s. A meticulously researched and compellingly readable story injected with heart and humour, From the Ashes is perfect for fans of Fiona McIntosh and Kate Furnivall. A five-star read. Deborah Challinor has a PhD in history and is the author of fifteen bestselling novels, including the Children of War series, the Convict Girls series and the titles in the Smuggler’s Wife series. She has also written one young adult novel and two non-fiction books. 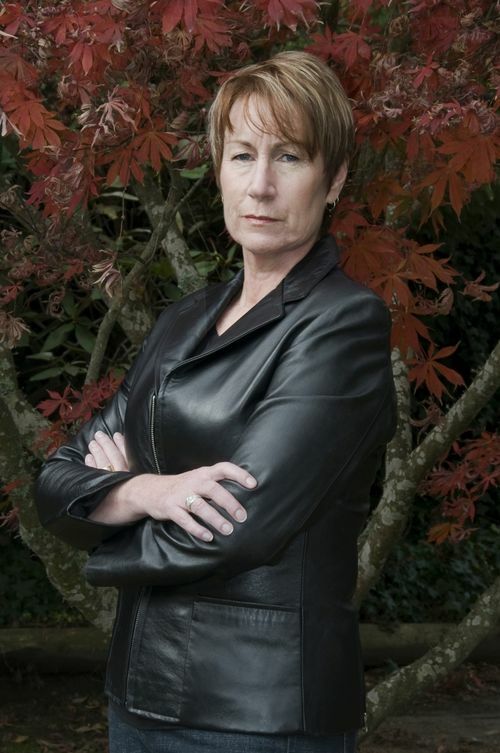 In 2018, Deborah was made a member of the New Zealand Order of Merit for services to literature and historical research. She lives in New Zealand with her husband.